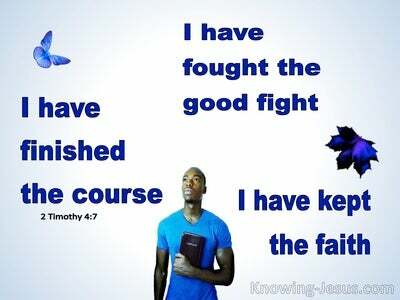 What Does 1 Timothy 4:1 Mean? 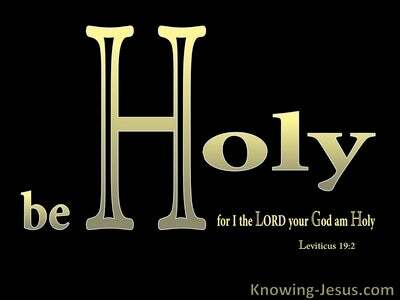 Throughout the New Testament we are urgently warned of false teachers, deceitful spirits and doctrines of demons. 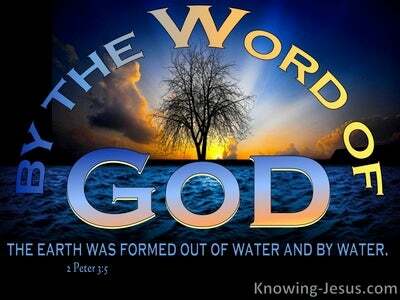 Indeed, satanic attacks, on the people of God, are evident throughout the entire Word of God. Hebrews 11 lists numerous people of faith, and the terrible way that many were treated in Old Testament times. 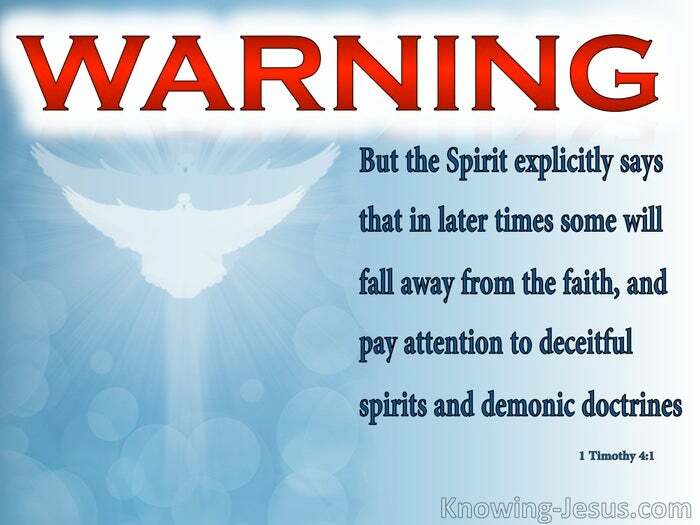 And here in Paul's letter to Timothy, we are similarly warned.. by the Spirit of God, that in the last days, some will fall-away from the faith, because they gave heed to false teachers, deceitful spirits and doctrines of demons. Guarding the truth of the glorious gospel of God's grace, is as important today, as it has ever been. 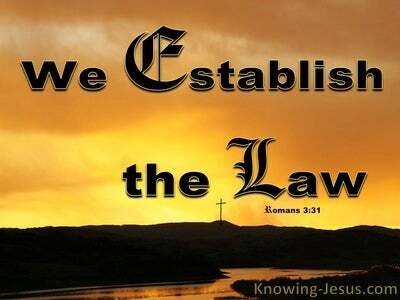 God's people need to know how to conduct themselves, in this fallen world system.. and how to protect themselves from all forms of apostasy and evil - because the Spirit explicitly says, that in the latter times, some shall depart from the faith, giving heed to seducing spirits and doctrines of devils. 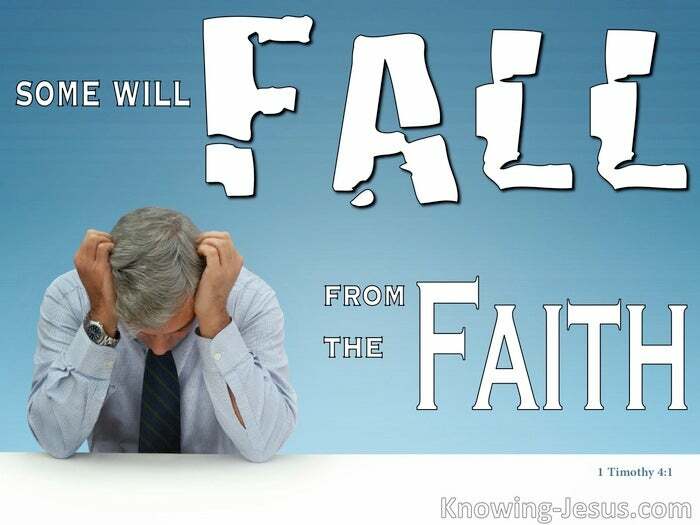 Jesus Himself warned of false Christs and false prophets, who would arise, in the end times.. showing false signs and lying wonders, in order to lead others astray - even deceiving the elect of God. Peter warned of scoffers, who would come in these last days.. following after their own lusts, and mocking believers about the promised return of Christ for His saints. And here, the very Spirit of God Himself.. explicitly warns of this approaching deception, and these counterfeit claims. And so, in these last days of the Christian dispensation, we ourselves are witnesses to the increasing apostasy and degeneration of true spirituality in the body of Christ, as the days become darker, men grow more evil, false teachers proliferate, doctrines of demons saturate the Church as the time for Christ's return draws ever closer. This sorry state of affairs has a twin-pronged assault. Satan, and his demonic principalities and powers, are the enemies of our soul. They prowl around like roaring lions, seeking whom they may destroy. Indeed, they will often present themselves as angels of light, in order to infiltrate the Church, deceive the body of Christ and cause Christians to become unfruitful and spiritually impotent. But we ourselves can too frequently be off-guard, by leaving our first Love, for the enticements of the world and the appetites of the flesh. Unless we are vigilant in our spiritual life, we can find ourselves walking in the counsel of the ungodly, standing in the way of sinners and drinking from the broken cisterns of the world. Without due care, we can lapse in our spiritual walk and thus, neglect our spiritual growth. How important, therefore, in these last days to buckle on the whole armour of God, to stand fast in the faith, to persevere in tribulation.. to be vigilant in prayer and steadfast in praise.. with thanksgiving - for the Spirit explicitly says, that in later times some will fall away from the faith, paying attention to deceitful spirits and doctrines of demons.